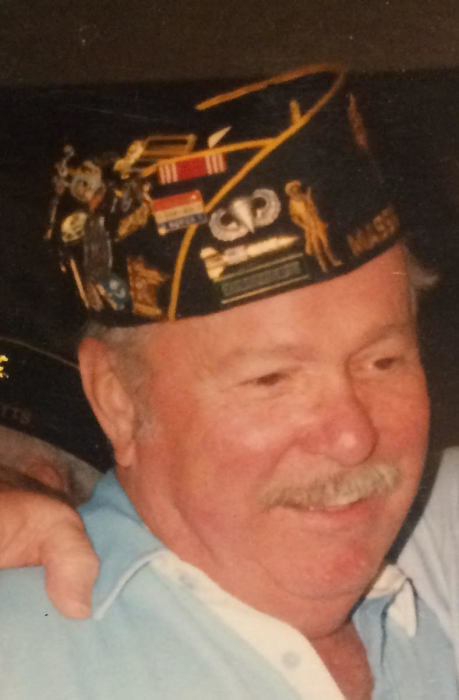 Joseph V. Fallon, 78, of Quincy died Saturday February 2, 2019 following a short illness. He was the devoted husband of the late Sandra E. (Hasting) Fallon who died in 1989. Raised in Roxbury, Joe was a son of the late Margaret E. “Marmo” (O’Donnell) and the late Edward T. Fallon, Sr. He graduated Boston English High School in 1958 before enlisting in and serving his country with honor as a member of the US Army’s 82nd Airborne division in Korea during the war in Vietnam. Dear brother of Elizabeth “Beth” Furgal of Quincy and the late Edward T. Fallon, Jr. He is survived by nephews Craig Furgal of Lynn, Mark Furgal of Brockton, and by his niece and Goddaughter, Jennifer Hickey and her husband Jimmy of Woonsocket RI. Also survived by great nieces and nephews, cousins, extended family and many good friends, including his dear cousin Henry “Hank” Bradley of Quincy.